Shortly after our daughter started high school, our third-grade son started crying every night while doing his homework. Not only did he complain about no longer liking school, he repeatedly asked when he would be able to hang out with his sister. After additional sleuthing, we figured out his teacher had been encouraging his class to work hard so they would be prepared for the extremely intense high school experience that his sister had just started. Our son was crying not only because he felt overwhelmed by the amount of homework required of him, but he now believed that high school must be a truly awful experience for his sister. This was a harsh introduction to an overwhelmingly common trend in the United States: The value students place on school decreases as they get older. But it’s not just students' sense of the importance of what they're learning, the relevance of the work they're doing, that declines over time. Strikingly, numerous research studies reveal that student motivation to learn in general, as well as performance, tend to decline over time, in both K-12 settings and college. In a recent Gallup poll of students, eight of 10 were reported to be “learning with a positive emotional tone and persevering in the face of challenges.” The share drops to six of 10 in middle school and four of 10 in high school. In a national survey of high school dropouts, 69 percent reported that their schools failed to motivate them. One group of researchers, led by Jacque Eccles and her colleagues, has followed students from elementary school through college and beyond. To capture motivation, they used a framework that assumes students will be motivated to the extend they believe they can learn and perceive what they are learning to be interesting, important, and relevant to their lives. In one of their numerous studies, they surveyed 761 middle income, mostly white students once a year from second grade through high school graduation. Student motivation in both math and English declined the further they got into their educational careers. Two things are scary about these negative trends in motivation over time. If we were doing a good job as educators, wouldn’t students be more engaged in school more as they get older, because they are biologically capable of doing more complex and interesting things as their brains develop? How do we expect to encourage more students to become engineers, nurses, or any other occupation if learning the necessary skills becomes less interesting and motivating over time? These questions should give us pause. But it's the second problem that usually gets everyone's attention. Motivation is not only important in its own right; it is also an important predictor of learning and achievement. Students who are more motivated to learn persist longer, produce higher quality effort, learn more deeply, and perform better in classes and on standardized tests. It’s commonsense, but it’s also reinforced by hundreds of studies. Given the key role that student motivation plays in learning, making school more meaningful for students seems vital to educational reform. Fortunately, research suggests that “value interventions” can help. Encouraging students to find value in what they’re learning can lead to more interest in the topic they are learning, increased engagement, and higher achievement. My colleagues and I—at the University of Virginia's Motivate Lab and elsewhere (including Judy Harackiewicz and Hannah Gaspard among others)—have been developing and testing a particular value intervention for more than 15 years. Our strategy is to help students discover personal connections between their lives and what they are learning. Although some details of the value intervention vary by study, the basics are the same: Students are prompted to briefly reflect on how the topics they're learning in class relate to some important aspect of their lives, such as future goals, personal interests, or significant others. We have tested our intervention with thousands of students from middle school, high school, and college, and in a broad range of subjects. What we find is that not only does this intervention stop the decline of motivation, but it raises student achievement. Many of you may be thinking, “Oh, this is easy! I’ll just tell my students (or children) how I use algebra when I remodeled the kitchen or basic arithmetic when doing my taxes.” Although well intentioned, such strategies probably won’t work out as well as you might think. This is because many teachers confuse the value they find in the topic with the value that a student finds in a topic. Our third-grade son valued learning new and interesting things and hanging out with his friends. His teacher valued preparing students for high school. His teacher’s values made him dread school because the future she envisioned sounded awful to him. Research indicates this is not an uncommon experience. According to a recent set of studies, telling students that math was an important skill for their future decreased interest in learning for the students who were least confident in their abilities. For students who have a good handle on who they are and what they are interested in, simply prompting them to reflect on connections may be enough to increase their motivation. 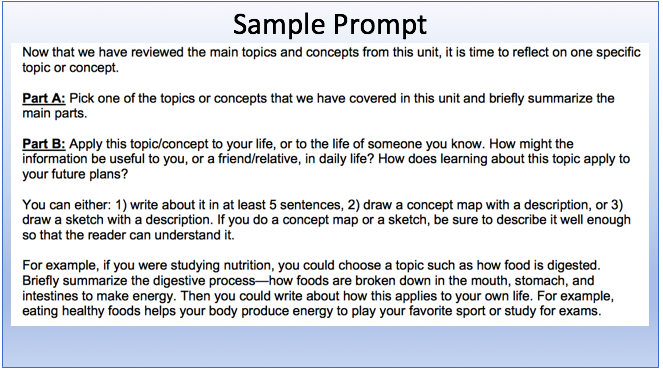 Here is a sample prompt from one of our studies with high school science students. For students who need more help making connections, we’ve created a new online resource called Build Connections. Developed in collaboration with the Character Lab, this activity helps teachers walk students through making the link between important aspects of students’ lives and what they are learning in school. Prior to reflecting on how school connects to their lives, students are first prompted to think about their interests, hobbies, and personal goals. Teachers can then help students make connections between these important aspects of their lives and the material they are learning. Students who need more help can read quotes from other students about how school was relevant to their lives. If you do try out Build Connections, be sure to give us feedback here! For administrators, you can encourage teachers to build time into the school day to reflect on and make connections. This could involve setting aside professional development time focused on planning how teachers will help students make connections, and setting aside funding to support these efforts. By helping students discover the value in learning for their own lives—rather than imposing teachers’ own interests and goals on students—educators can boost student engagement, persistence, and attainment. In the case of our third-grade son, this involved having discussions with him and his sister focused on what they liked about school. This allowed him to see that his older sister still had school topics she loved to learn, and he started to see that high school wasn’t as awful as his teacher’s messages led him to believe. 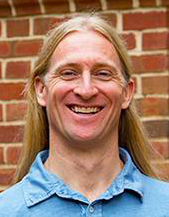 Chris Hulleman is director of Motivate Lab at the University of Virginia and an associate professor at the Curry School of Education. 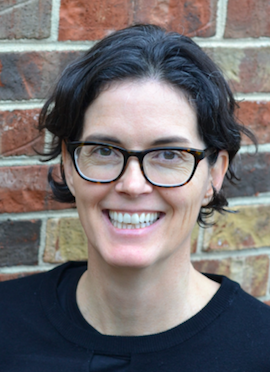 Teresa Hulleman, a former middle and high school teacher, is a research associate at Motivate Lab.